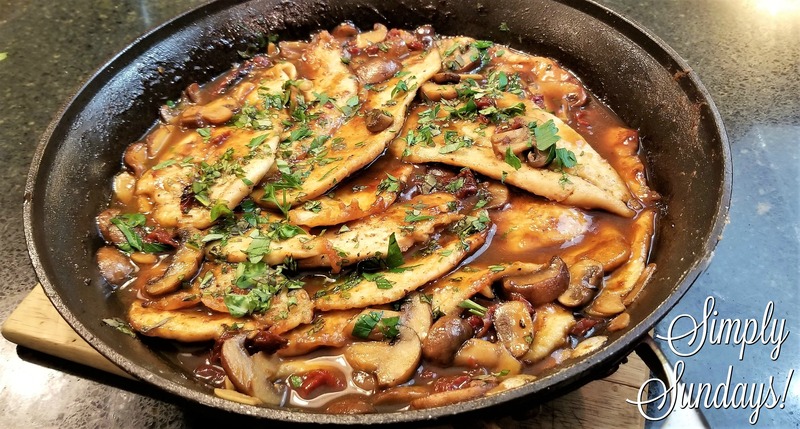 Chicken Marsala – Simply Sundays! Well Happy Birthday Grandma MeMar! Chicken Marsala coming right up! Sprinkle the herbs over the chicken and serve with pasta or crusty bread! Question, if you want to double or triple this recipe, anything to be aware of? If you are traveling for a holiday, should you keep warm in a big pan or use a crockpot to keep warm? Just make sure to double or triple all of the ingredients accordingly. Either way would be fine for traveling. If you plan to use a crock pot, just be sure to use the warming function so it doesn’t dry out. Enjoy and Happy Holidays!